Phnom Penh is the capital and the largest city of Cambodia. Lots of travelers in Southeast Asia traveling also from Vietnam to Cambodia. Cambodia is an attractive tourist spot and somewhere also very overcrowded by tourists, eg. in Angkor Wat – world famous hinduist and then buddhist temple. Phnom Penh is the capital of Cambodia, about 1000 000 inhabitants. It is a political, cultural and economic center of Cambodia and it is located at the confluence of the Mekong and Tonle Sap river. There is a large number of interesting sites and monuments in Phnom Penh. If you travel from Ho Chi Minh City, this place will be probably your first big stop in Cambodia. Phnom Penh is about 250 km northwest of Ho Chi Minh City. The fastest option how to get there is to use a flight, but these flights can be too expensive. Second option is to go by a bus (about 6 -7 hours) from Ho Chi Minh City. Yes, also buses run, the cheapest option of transport between these towns. This way can take 6-7 hours. Ticket price – between 200 000 – 220 000 viet.dongs (about 10 – 11 USD). 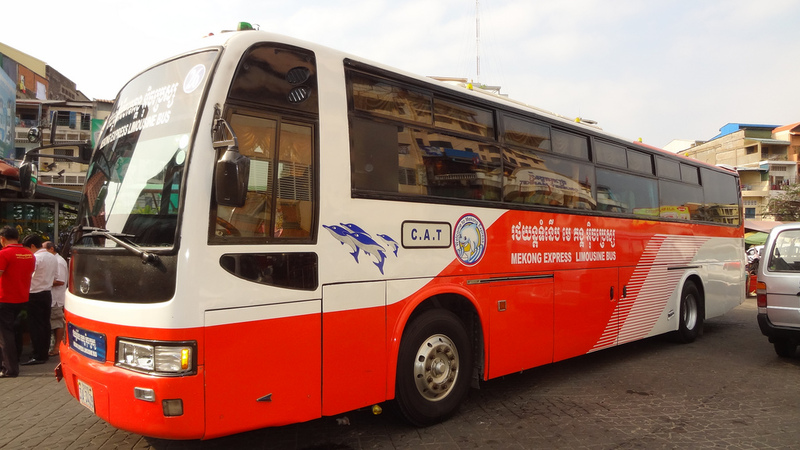 Bus companies – Thai Duong Express, Virak Buntham , 168 Bus , Phuong heng bus lines..
you can buy and book bus e-tickets on site : bustocambodia.com. – You will receive your e-ticket by email, ready to print or carry in your mobile phone or tablet and present at the ticket counter of the station before boarding the bus. How to get bus from Ho chi minh city to Siem reap ?